Coming to Peace is the heart of the family, couples, and community conflict resolution process in Depth Hypnosis. Coming to Peace is a hybrid conflict resolution method that was born out of core mediation practices from a variety of earth-based wisdom traditions and Buddhism. The essence of resolution lies in the recognition of the deep and unbroken connectedness that we share as human beings. This book shows how the processes of Coming to Peace meet those in conflict and provides them a pathway to reconciliation and wholeness. 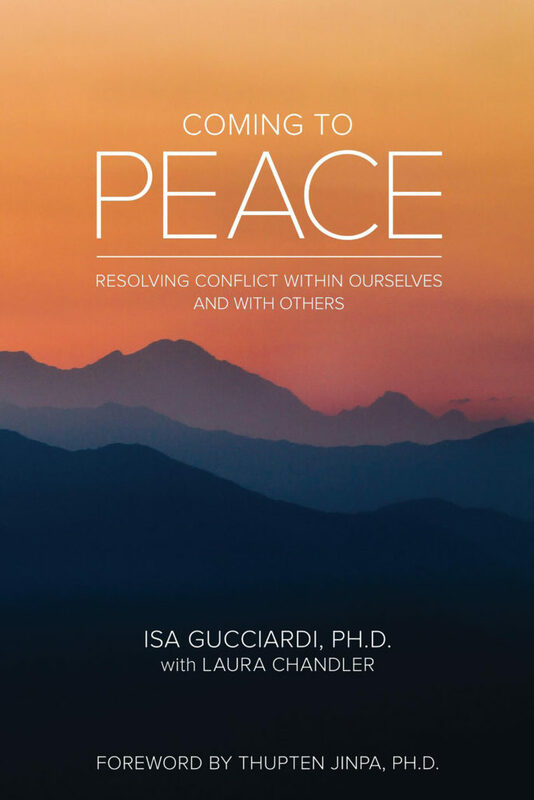 Whether you are a spiritual seeker on a personal path or a mental health professional, Coming to Peace can help you better understand the ways in which conflict exposes the areas where we’ve become disconnected from others and ourselves. It also gives us a pathway out of the inner and outer turmoil that can cause us to become locked in joyless situations. In Part I, you will learn about the roots of Coming to Peace in various wisdom traditions, the important role conflict plays on our journey toward wholeness, and how the process looks and functions. Parts II and III will help bring to life the process of Coming to Peace as practiced in Depth Hypnosis, using case studies and transcripts. Finally, Parts IV and V demonstrate how to put these practices into action. Even if you never step foot in the office of a Depth Hypnosis Practitioner, the practices for cultivating peace and harmony described in this section will give you tools and encouragement for transforming your daily life into one that is increasingly more positive and enjoyable. Purchase Coming to Peace in the Sacred Stream Store.